Moderator note: Some of these guidelines have now been updated: see here for details of the revised guidelines. Seeing as a couple of people have shown interest in producing graphics for pak128.Britain recently (which is highly welcome!) I am writing this as a guide to style of pak128.Britain artwork, and also demonstrating how I do the graphics in blender (using this method and starting with the examples provided will mean the results are going to be comparable). I hope this will encourage people to draw things for pak128.Britain, and for them to be consistent enough to make it into the pak. The screenshots below show the differences in style between standard pak128 and pak128.Britain - you can see that pak128 is generally less bright, and textures are smoother. That's why pak128 and pak128.Britain graphics don't look too great when seen next to each other. Length scales in pak128.Britain are fairly arbitrary, the best rule being that if it fits then it is good. As a general rule though, 1 tile should represent 30m, this allows a double car tram to fit on one station tile. All current pak128.Britain artwork is available under the terms of the artistic license at http://sourceforge.net/p/simutrans/code/HEAD/tree/pak128.Britain/ - you may use it in your creations if you give credit to the original creator. If you want to adapt an existing model or use it as a base for whatever you are drawing, PM me and I will dig it out for you to use as a basis for your work. 1) select all objects in layer one (press "1" followed by "a" in object mode). 2) Then press shift+3 to bring in the lighting settings. Press "numpad 7" to get top down view. 3) Hit "F12" to render, and save the png. Then hit "r" then type 45 or 90 depending on whether you are doing vehicle or building. This should rotate the object, but importantly, not the lights or the camera. 4) repeat step 3 until you have saved all 4 or 8 pngs. To produce vehicle graphics using the same colours for liveries as existing graphics (which is important for maintaining consistency), see this list of standard colours for Blender. This post isn't about writing dat files - do these the same way as for any other pak. The german wiki is very good (if you can read some german or generally decode the non-translated bits). Or just ask for help on the forum. If you want your work included in the pak128.Britain project, you will need to give permission to me for it to be released as open source. You can specify your own license or terms, or just adopt the artistic license used for the rest of pak128.Britain. This is a very useful guide, thank you! One thing, though: wouldn't it be better to ask that all things in Pak128.Britain be released under the same licence terms, or else it could get rather a mess when people want to make derivative works...? I'm no licensing expert. Timothy has offered for me to adapt his underground set to fit the pak128.Britain style, but I think he would prefer less strict terms than the artistic license. If I go ahead with this plan, I will make a note in the license file on SVN. The idea is all derivative work would be allowed with credits for all work released. The stuff I gave you from 128 is under Artistic v2, and that license is quite lenient regarding distribution and mixing with even "proprietary" content, so there should not be a problem at all from this angle. What information do you think is missing about housing VS? Does anyone have the blender model for the BR Class 20? 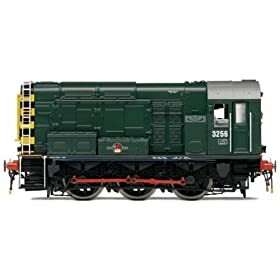 I want to re-model and render it for a Class 08 to give us a yard Shunter (i could do with one at my Bolton Goods depot ), it seems a fairly close in shape. Also, has anyone got any idea on a Class 08's running costs? The Hood should have the model for the class 20. However, please note that shunting does not feature in Simutrans - Simutrans (both Standard and Experimental) tend to focus on the macro rather than the micro of operations. Perhaps you could model a class 09 or 03, which were used for very local goods transport? I kinda simulate shunting around a local yard with multiple types of wagon/hoppers as the city (Bolton, ack bless her) is a main goods hub and has the odd fact of multiple bulk and goods producers within a few tiles of the depot, so a shunter would suit very well. But yeah your right a 09 would work perfectly and cover the macro, thanks for the idea, I think I'm sold on the 09 idea. I'll upload the blend for the class 20 when I get home, which may be early today given the weather and the fact I'm the only one in my office so I'm boss for the day I'd also go for the 09 as well, but I still think it would be pretty niche. However if someone (e.g. you) wants it, and then draws it, no reason not to include it! Hey Hood, sorry for the delay, really busy at work. Thank you very much for the file, I'll get to work! I explained myself badly ... I meant that the files indicated by the Hood are no longer available on the server. 2) The colors .... there is a rule of thumb on how to choose? that is, parameters to be met in brightness, saturation or...? 3) I'm working on blender_747 made by vilvoh (thanks) as a test, the pak_britain currently contains no planes, how do I do for the size? 30m for tile if you consider a 747 it would take just over 2. For airplanes, you can create larger models of 128 (as was done for some ships) or should decrease the airplane to keep him in a tile of 128? In this case it is better to define a universal scale ... ie one tile = 70m so that their size is at least respected from one plane to each other. Thanks for your interest! If you already have a blender model, it should be quite easy. I'll upload some blends later when I get time, so all you need to do is append your model into one of the template blends and then do the rendering. The settings will all be OK then (sun, lighting etc). With colours, the main rule is whether it looks right next to other game stuff. Scales: because of the tiles, you have to have several different graphics scales in parallel. For trains, buses and trams, 1 tile = 30m approx, but this doesn't allow large ships on this scale, so for the boats I've just adopted arbitrary scales. As the 747 is one of the largest planes, I would render it at either 192x192 or 228x228 pixels and then apply offsets in the dat files to centre the 192x192 images on a 128x128 tile (see the ship dats for examples). Probably best to assume 1 tile = 40-45m or so for the planes in that case. One final thought - if you do produce some planes, could you please do them in British airline colours (e.g. British Airways, BMI, EasyJet etc) as this is pak128.Britain? That will make them distinct from normal pak128. First post modified to fix broken link - I've replaced it with a blank 128x128 template blend. If you apply the livery of the model directly in blender, you have an idea or a good tutorial on howdo it ? Liveries are generally done by making the vehicles out of different sections each with different colours: for example, if the side of a vehicle has a stripe of two colours, make it using two planes each of the requisite colour, rather than making it an object of one plane. I suppose that it is possible in theory to use textures, too, but this, I suspect, is more complicated, and I have not tried it. As James says, I generally do liveries by creating polygons of the right shape/size and colouring them the correct colour. This isn't that easy for corporate liveries, but at the level of detail of pak128.Britain renders, a few stripes are usually enough. Alternatively you can use a texture method: use a jpg image which has the correct pattern of stripes or whatever and apply that as the texture. This is my first attempt to build an airplane. This is an Airbus A319 of EasyJet, the model is made in blender. I show you a visual ... the airplane is not to scale, I'll fix it later. I would ask how you manage the back ground, now the back ground is black, as you set? there is a default color? I believe that after rendering the need to set the back ground as a "transparent color" which graphics program you use? GIMP? Since it would be the first plane I have no files. "dat" from which "copy" there is a template from which I can draw? If you have suggestions for improving the model does not hesitate to ask. My first impression is rather positive - it's excellent that somebody's making a start on aircraft graphics! One small thing is probably that it needs to be made somewhat darker - do this by reducing the brightness of the colours of the body (etc.) in Blender. The easiest way to do the background is to use the GIMP, and select all black with the want (remembering to set the tolerance to 0), then simply paint over with a large brush with the appropriate colour. Alternatively, if you are doing what we normally do in Pak128.Britain and putting all of the rotations in one image, copy and paste the aircraft alone (select all black, invert selection) in each rotation onto a blank template graphic with the bright pink guidelines, lining each rotation up with the guidelines, then erase all the pink guidelines at the end by selecting by colour and going over the whole image with a large brush of background colour. Such as "engine_type"and "waytype" I use for the A319? What do you mean by "such as" here? How have I to set "engine_type" and "waytype". in the ".dat" file. 1. If someone would double-check this, and fill in details about Windows Python, I will add this to... where? the wiki? Advise please. These instructions are for Standard. Experimental, I believe, requires a different makeobj. Note that you will have to edit makeALL.mos and update the makeobj parameter, or else put a copy of makeobj in the current directory. I changed mine to /usr/games/makeobj which is where I installed makeobj... Yes, this means your local copy will differ from the version-controlled one; this is not ideal but until someone has a better idea it's not so bad. That creates a build subdirectory called pak128.Britain-built which you can copy to a new subdirectory below your simutrans installation directory. NOTE: Although the script is called 'make' it does not work 'intelligently' like a real makefile -- it always rebuilds everything. I have finally got around to trying this, and it is very helpful. Attached is a modified version of the .mos file for Pak128.Britain-Ex (which also includes an update to enable it to build the aircraft). This makes building a pakset much easier. One oddity that I have found, however, is that the logo does not build when making this, for reasons that I am not entirely clear. Incidentally, to build this on a Windows system is very easy - just install MOSE then double click on the makeALL.mos file in Windows Explorer, and it will be built. May I ask The Hood (and I'll ask publicly here rather than send a PM, in case others want to know the answer, too): how does one set up a tall 1x1 building such as those on the right in "70's-office.png"? (Incidentally, I notice that the snow images of the buildings on the top left are incorrect in rotation and also have black instead of background colour near one of the entrance areas). Perhaps you could upload a sample of a .blend file set up for this purpose? I made the tall 1x1 office building, just by drawing it, with Gimp, in a 64x128-pixel region. This works because Simutrans does hidden line removal by simply drawing the tiles by progressively moving toward the viewer (i.e., from the top to the bottom of the screen). The rendering engine doesn't care whether you draw pixels "outside" the diamond-shaped regions that TileCutter uses -- no, the rendering engine dutifully draws whatever you put in your however-many 64x64 squares. Indeed there are probably tricky ways of using "illegally" placed pixels for various effects. I notice that the "style overview" image links are broken. I thought that it might be helpful for future reference for those producing vehicles (and other objects relying on standardised colours) to have a list of the Blender HSV values for each of the colours to ensure consistency, as, in the past, and, to some extent even now, there are inconsistent colourings for vehicles that are supposed to be painted in the same livery, and there has been a change of one of the liveries (Southern Railway malachite green) in the last year that has not been fully propagated yet. In principle, I am able to sticky this myself, but I thought it best to see whether Kierongreen or The Hood are content for this to be stickied before I do so. I organise the list into categories. Only standardised livery colours are mentioned here: colours for non-standardised items, e.g. private owner canal boats, or colours for parts other than liveries (wheels, etc.) are not listed. The one non-livery standard that I should mention, however, is that interior windows (and only interior windows) should be 0,0,0. Any "black" colour should actually be 0,0,0.1 or similar. All are in HSV (Hue, Saturation, Value) format, as I find this easier than RGB because it allows things such as darker versions of the colour for roofs, etc. to be specified easily. The intensity value should be 0.800 unless otherwise specified. Textures are used instead of Blender colours for aircraft. Note: London trolleybuses use tram liveries: see below under "trams". I would add this to one of the existing stickied threads rather than start a new one personally.